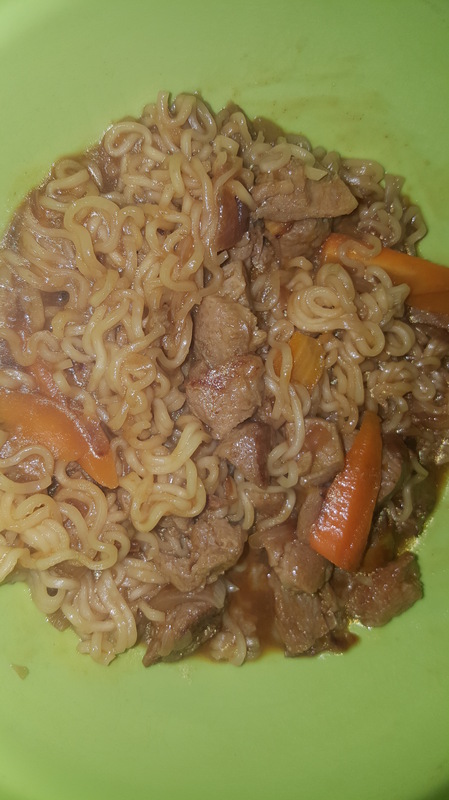 Maggi is a go to snack and breaky item for me. I know a lot of people frown upon its unhealthy contents. But it is a life saver when one wakes up hungry. Here are my 3 styles of maggi. Boil 1 &1/2 cup of water in a pan, turn down the heat, add the broken pieces of maggi in the water. Cover the pan with a lid. Let it cook for 2 mins. Remove the lid and add the maggi masala and the chopped chillies. Give it a mix. 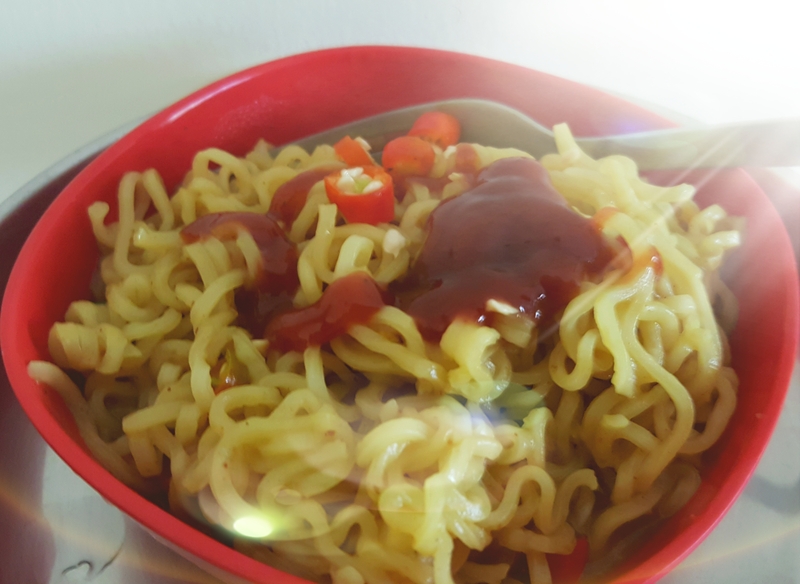 Let the maggi cook and the extra liquid evaporate. I like the maggi to be dry. Remove from heat. Enjoy. Boil 1 &1/2 cup of water in a pan, turn down the heat, add the broken pieces of maggi in the water. Cover the pan with a lid. Let it cook for 2 mins. Remove the lid and add the maggi masala and the cheese. Adding chopped chillies is optional. Give it a mix. Cook for a minute. The cheese will melt and thicken so keep the heat low to prevent it from sticking to the pan. Remove from heat. Add a dash of tomato ketchup and enjoy. Heat oil in a pan, saute the onion, carrot. You can add other vegetables like beans or spring onion. Sprinkle some salt and cover the pan. Cook till vegetables soften. Don’t over cook it. Leave the vegetables a little crunchy. Add 1 tbsp of tomato sauce and chilli sauce and 1 tsp soya sauce. Mix in the soya chunks or minced soya. Cook for 2 mins. Add the maggi noodles and pour in 1 and 1/2 cups of water to the pan. Turn up the heat. Bring the water to boil. Turn down the heat and cover the pan. Cook for 3 mins. Remove the lid stir and cook for another 1 minute and let the extra liquid evaporate. Note no salt ia added because soya sauce has salt it in. You can adjust the salt if required. Take off heat and serve.